the nytpicker: Christopher Plummer, How Does Alex Witchel Love Thee? Let Us Count The Ways. 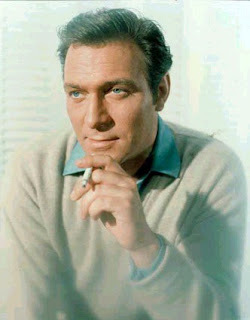 Christopher Plummer, How Does Alex Witchel Love Thee? Let Us Count The Ways. 1. "Now that Plummer has published In Spite of Myself: A Memoir, it is the most welcome of surprises to discover that this actor writes and reports almost as well as he acts." 2. "But the result for anyone who loves, loves, loves the theater, not to mention the vanished New York of the 1950s and ’60s, is a finely observed, deeply felt (and deeply dishy) time-traveling escape worthy of a long stormy weekend." 3. "Just grab a quilt and a stack of pillows. No need for a delectable assortment of bonbons. They’re in the book." 4. "More than 50 years later, Plummer’s ear is pitch perfect." 5. "Make no mistake, Plummer’s master story­telling is also a master diversionary tactic. There is little introspection here, though every once in a while he looks at himself with eyes wide open and tells nothing but the truth." 6. "In spite of himself — his relentlessly high artistic principles; his penchant for playing the underdog, even when he was the star; his keen ear, equally attuned to the precision of Elizabethan verse and to what passes as truth across a whiskey at 5 a.m. — this man has experienced a life rich in textures, and he is able to give most of them glorious voice." 7. "His is a life in the theater lived hard and true, in the grand tradition of those distinguished players who went before, whom he has surely made proud." 8. "Good sir! I raise my glass to you." -- from Alex Witchel's mostly-positive review of Plummer's new memoir, "In Spite Of Myself" in tomorrow's NYT Book Review.